There are lots of folks in lots of places doing the ALS Ice Bucket Challenge -- some successfully and some not so much -- and all that ice water is getting an incredible amount of attention and extraordinary funding for ALS research. Few of the resulting videos, however, are as compelling as those by ALS patients, themselves, and their family members doing the challenge for the greater ALS family. And we'd add, ALS researchers going beyond simply pouring their souls into their work to put their body temperatures, pocketbooks and, perhaps, their dignity on the line for ALS research. Last week, two such groups, the ALS research team in Florida and Drs. Eric Sorenson and Nathan Staff in Rochester took part in the Ice Bucket Challenge. Leonard Petrucelli, Ph.D., who introduced the research team in Florida in their video, not only got a double-dose of ice water, but then also got pelted with water balloons by his (apparently very secure in their jobs) research team. And he couldn't have been a better sport about it. Rosa Rademakers, Ph.D., who also got soaked with the team in Florida, says she wasn't aware of the initiative until the team was challenged. "It felt like the right thing to do and a small sacrifice for us to raise awareness of ALS," she says. 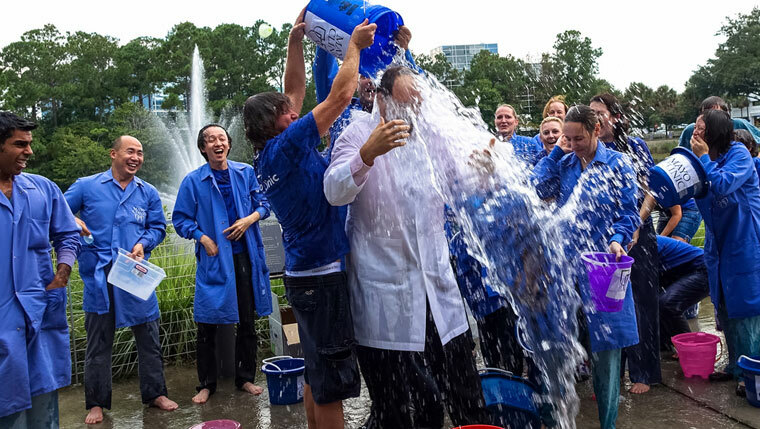 "All the news coverage that the ALS Ice Bucket Challenge received in the past few weeks really helped to bring ALS to the attention of the general public and I hope (and know) that this raised significant funds for future research on ALS, which is fantastic." The feedback has been very positive, according to Dr. Staff, who adds that he hopes the awareness the challenge has brought makes a lasting impact. "I meet patients with ALS and their families nearly every day in the clinic and see firsthand how they courageously deal with this devastating disease," he says. "I saw the ice bucket challenge as a very public way to bring more awareness to ALS and hopefully increase charitable giving for the ALS Association (ALSA). 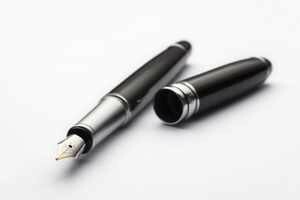 I hope this leads to sustained public awareness." Dr. Sorenson says they had fun with the challenge, "though the actual act of dumping ice water on your head could not be described as fun." (His daughters, who dumped ice water on him, may argue that.) He says what's most remarkable is the response to the challenge as a whole. "The ALS Association has and is still raising a tremendous amount of money that will support research, patient advocacy and patient care for those suffering from ALS." And the increased awareness is equally impressive, he says. "Most of those who have supported the ALS Association and chapters since the start of the Ice Bucket Challenge had never given to support ALS patients before." Mayo Clinic's president and CEO, John Noseworthy, M.D., got in on the act as well late last week, dousing himself and making a donation to support ALS research, after being nominated to take part in the challenge by reporter Mike Sullivan at KTTC News in Rochester. Though he was miles away in Canada on vacation, Dr. Noseworthy didn’t hesitate to pledge his support to ALS research and take the challenge. He also nominated three of his fellow neurologists to join him in the challenge. We'd love for you to share your own Ice Bucket Challenge stories (and video links, please) in the comments section. And don't hesitate to share this story, video and comments with others through the handy social media tools atop the page.